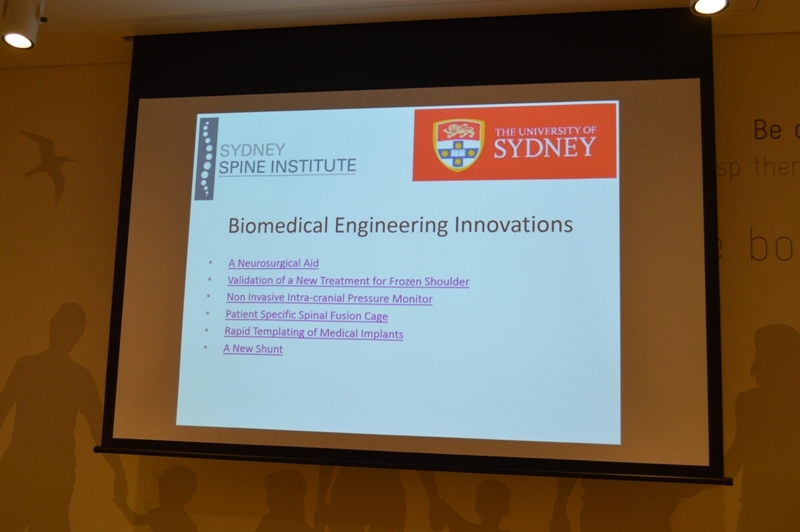 A series of innovation projects were presented from senior students from the Department of Biomedical Engineering (University of Sydney) on Wednesday 10 December at the last Sydney Spine Institute Meeting for 2014. The projects were co-supervised by Dr Philip Boughton (A/Lecturer & Program Manager, Biomedical Engineering, University of Sydney) and A/Prof. James van Gelder (Neurosurgeon & Spine Surgeon).